Itai Zar, one of the first residents of the Havat Gilad farm in Samaria, responded to the shooting attack that took place this evening near the farm, in which a 35-year-old Jew and father of six children was murdered. "The situation is severe, the feelings are terribly painful. It's close to where my brother Gilad was killed. There were a number of shooting attacks in the area, and each time the Arabs manage to run away to their hornet's nest in Shechem. 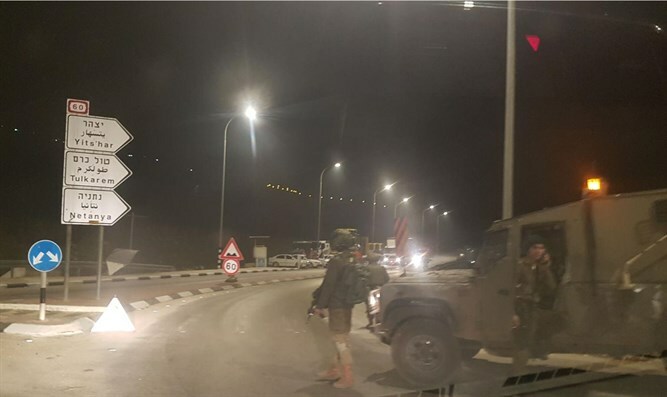 The IDF doesn't block the entrance to Shechem because it seems the terrorists' lives are more important," Zar said bitterly. In a conversation with Army Radio, he cried out, "Why have we been abandoned? A month ago Arabs stole things from the farm and fled to Shechem. The IDF didn't relate to this as a terror incident and our lives have simply been abandoned." Zar stressed, "I trust the army, I love the army, we are the army, and I have no complaints about anyone specific but rather about the IDF policy and the fact that our lives have been abandoned. I don't care how many terrorist attacks have been thwarted until now, when an attack does happen, it's a failure. "The Arabs must know that our lives are not expendable; they get in their cars, slaughter Jews, and return home. We've had enough ... I'm trembling. We're fed up, we have a right-wing government and we must put a stop to this so the Arabs know you don't simply shoot at Jews."